I’ve lived in EagleVail (note the lack of hyphen) for a little over a year now, and I have to say that it’s a very nice, peaceful, prosperous, and generally quite neighborly place. Nestled at the base of Beaver Creek (I can ski out Rose Bowl and down to my house) and five minutes from Vail, it’s an ideal location. 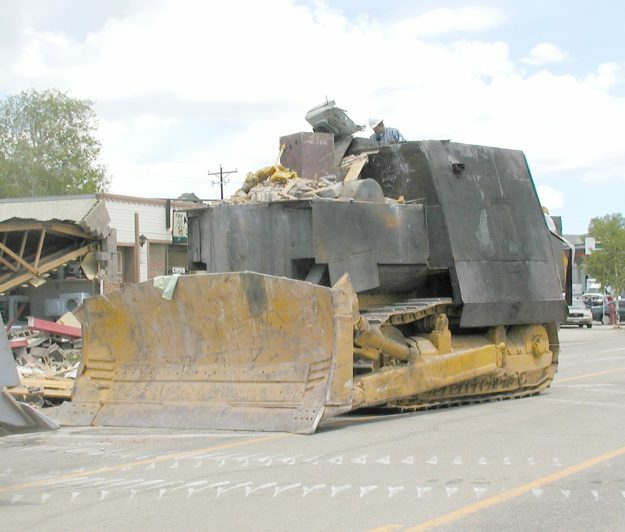 But if you read the letters to the editor section of the Vail Daily, you’d think it was a war zone. I just sent in my ballot for the EagleVail Property Owners Association election, and I didn’t vote for any of the folks who have been flooding the Vail Daily with negative letters — some of which are factually challenged. Wherever you stand on the battle between the POA and the EagleVail Metro District, the letters don’t help anyone, and they arguably do great damage to both our reputation as a community and to our property values. These arguments should not be aired in the local paper, where the vast majority of Eagle County residents don’t understand our really quite mundane problems or care one little bit for that matter. EagleVail (so hard to drop that hyphen after using it in print for so many years) has tremendous assets it can leverage against future financial obligations for upgrading aging infrastructure. The sky is not falling when you live between Vail and Beaver Creek — two of the most successful ski resorts on the planet. To paint a picture of doom and gloom and engage in financial scare tactics is irresponsible and does a disservice to the vast majority of us who want to live here peacefully and not be bothered by a bunch of unnecessary drama. A war of words in the Vail Daily only serves the egos of a few and maybe increases circulation. But I doubt even that’s true, since most of the 50,000-plus people living in the paper’s readership area have no idea or interest in what these letters are rambling on and on about. And the Vail Daily needs to take some responsibility and start carefully fact-checking all of these letters, because many of them use a set of alternative facts. The central fact is that EagleVail is a fantastic place to live — one of the best in the Vail Valley — and I know that because I’ve lived in nearly every neighborhood since I moved here as a journalist in 1991. That includes East Vail, Lionshead, Sandstone, West Vail, Singletree, Riverwalk, Avon, Arrowhead, Wildridge and Eagle Ranch. And in none of those places, including the unincorporated areas under metro district and county control, did I experience the kind of rancor that’s being generated by a handful of people so inexplicably outraged by how their community is being governed that they are willing to falsely trash our reputation on a daily basis in the local paper. Enough already. Stop the bombardment and quietly find a way to govern and get along or I will personally start reaching out to elected officials in nearby towns and start a campaign for annexation. Our potential sales tax base along the Highway 6 corridor has to be attractive, and I know we would not see the same level of nonsense from other elected officials (in Vail at least … not so sure about Avon). What really causes me concern is reading an article like the one that ran in the Daily in October, in which a gun ban was proposed and then shelved due to a dispute at a metro board meeting. How things got to that point doesn’t really matter, but that garbage needs to end. Bullying of basically volunteer elected officials is so unacceptable, and the heat I read in these letters indicates we are on the verge of something explosive. 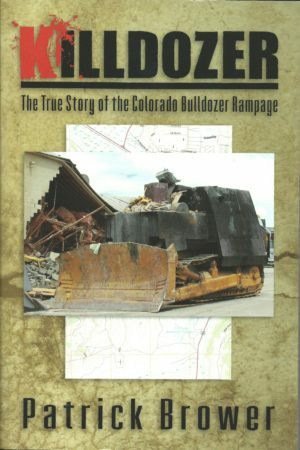 Please take the time to read an article I wrote recently for Atlantic Media’s RouteFifty.com website on a new book called “Killdozer” by my friend Patrick Brower about the 2004 Granby bulldozer rampage that resulted from years of misguided animosity toward public officials over zoning issues and sewer hook-ups. Patrick’s newspaper office was destroyed that day in 2004, and my mother worked there at the time, although she was on vacation that day. Marv Heemeyer, who plotted against the town over his perceived slights, appeared a couple times before my late father, who was a Grand County judge for a number of years. There are folks in Eagle County, many of whom I’ve done ideological battle with for years, who remind me a lot of Heemeyer. As tempting as it is to feel empowered by anti-government rhetoric in our current political climate, everyone — from angry residents to beleaguered and underpaid elected officials — needs to find a way to look each other in the eye and agree to disagree without resorting to violence. The newspaper and responsible blogs can play a role in tamping down the animosity as well. If not, I fear we’re headed to a place where we can no longer effectively govern ourselves because reasonable people have been pushed to the margins and are fearful of serving in our diminished democracy. This is a great piece by a longtime resident and thoughtful journalist. The animosity over relatively minor association matters and property owner dues is simply not worth it. Investing in the place you call home is definitely worth it, however, as is living in peace with your neighbors. I live in Carbondale, which is also a great community. I have known Dave for 15 years. I also know that he is committed to the place — Vail and surrounding communities — he has called home for nearly 30 years.